We’ve all seen these stories, reading them with a fervor as we dream of having an Eat, Pray, Love moment of our own. Now, more than ever, the idea of breaking free from a stable, 9-to-5 job in pursuit of freelance or entrepreneurial opportunities (or, you know, to make money off your Instagram) has become more enticing than ever. But before you take the plunge and fully rely on a side hustle as your only source of income, there are a few things you need to know first (aside from just mapping out your Instagram strategy). 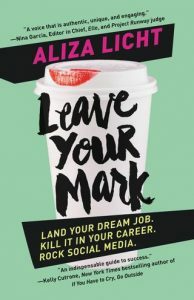 Enter Aliza Licht, author of Leave Your Mark, with a much-needed reality check and fresh career advice. Licht first shared her advice to networking and working your way to the top in the first edition of Leave Your Mark, which debuted in 2015. At the time, she was the senior vice president of global communications at Donna Karan International, where she most notably created the social media persona ‘DKNY PR Girl’ on Twitter. Since then, she left her 17-year-position at the fashion brand to become an entrepreneur, starting her own LLC where she consulted and freelanced for Forbes. After deciding freelance life wasn’t for her, Licht is now the vice president of brand marketing and communications at Alice + Olivia. But luckily for us, she’s still sharing what she’s learned since leaving Donna Karan and branching out on her own (all in today’s rapidly shifting corporate climate) in an updated and extended addition of Leave Your Mark. Featuring five new chapters, (some of which are titled ‘Quitting Your Dream Job’ and ‘CEO and Founder of Nothing’), the new paperback book dishes out updated career advice for those looking to navigate the tricky waters of today’s social media and digital driven corporate world on their own. In an exclusive chat with BAZAAR.com, Licht shared some insight behind the do’s and don’ts of quitting your full-time job to become an entrepreneur. Don’t: Up and quit your job without a solid strategy. Do: Test the waters by embracing a few side hustles. Do: Remember that being authentic and nurturing your personal brand on social media is key. “Figure out what your niche is, what you’re really good at and what your special sauce is and really making sure to keep on promoting that. I’ve said this many times before, but repetition is reputation. The more that you speak about something or show yourself speaking about something, the more that people associate you with that topic. 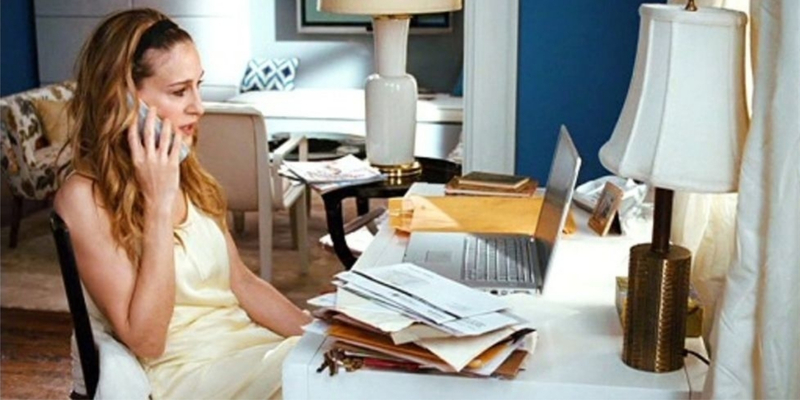 Do: Be realistic about what people will actually need from you as a freelancer. “One of the things that I did well was that I tried to be realistic about how necessary it was for people to speak to me. The answer is: not very necessary. If you’re not working for a brand or you’re not someone that other people need to speak to on a regular basis, then you have to remember that it’s up to you to do the reaching out. It’s not to say that you’re not important or that you’re not someone that people need to know, it’s more that everyone is so busy and they have so many people they need to speak to to get their job done. Do: Keep tabs on your progress in the freelance lane. Don’t: Forget to be your own biggest promoter. Read more of Licht’s advice in the second edition of Leave Your Mark, now available at amazon.com.